Let me say this….I LOVE my husband. As proof I give you…the big brown blob. Yes, I can even prove how much I love him. 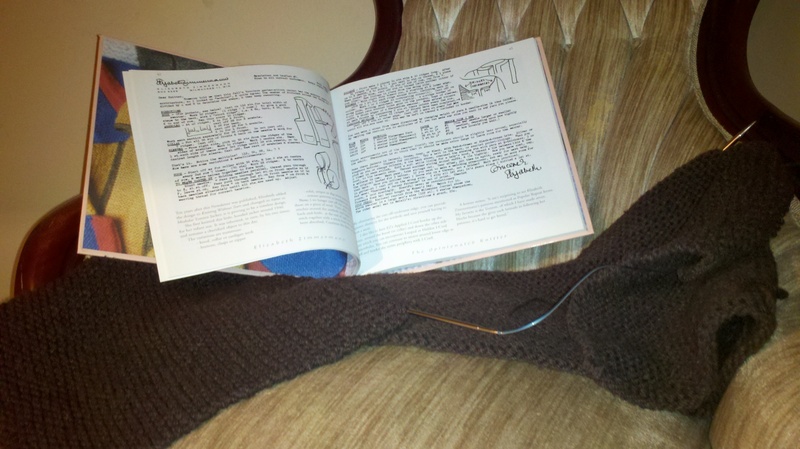 I am 630 yard into a never-ending garter stitch outdoor sweater for him in ….wait for it……brown. I have never knit Henry a sweater even though I have promised before. This year is our ten-year anniversary. (he say 17 years if you count the 7ish we loved together!) Anyway, I desperately want to give him a sweater he will wear and love for our anniversary. So around Christmas I started the search for the perfect sweater. Most were met with great resistance. In a last-ditch effort, I pulled three sweaters that I felt like we down his alley. He saw the Adult Tomten by Jared Flood (original is Elizabeth Zimmermann) and he was hooked. I brought home three different skeins of yarn fo varying weights and colors and nothing pleased him. So, I said how about the yarn Jared used and of course he said yes but felt the colors were not what he wanted. So, he picked out a brown and with probably go with a green for the stripes and edging. Here’s Jared’s version http://www.ravelry.com/patterns/library/adult-tomten-jacket . Anyway, I have been knitting on this for a month and am only finally about ready to divide the fronts. Of course, once I do get there, it should move along much faster….but boy am I slogging away in brown garter stitch land now! This entry was posted on May 16, 2011 by slippingthroughmyfingers. 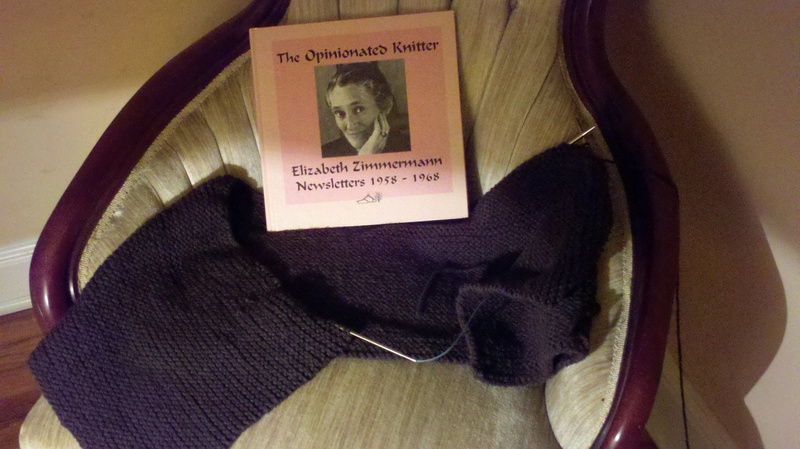 It was filed under Uncategorized and was tagged with abc's, elizabeth zimmerman, knitting. Aw, its so nice when the person your knitting for gets to choose the pattern and colours. Makes it even more special. Bet your hubby is going to love it. I know how the brown blob knitting feels. I’m knitting my partner a scarf that is entirely black… I hope you’ve told your husband he has to wear it all the time when it’s done! I admire your resilience. It will be worth it.